Collaborating once again with her team of designers, Jim Findlay and Jeff Sugg, and director D.J. Mendel – Cynthia Hopkins delivers a far-out conclusion to her Accidental Trilogy – a magical adventure into the future of our Universe. 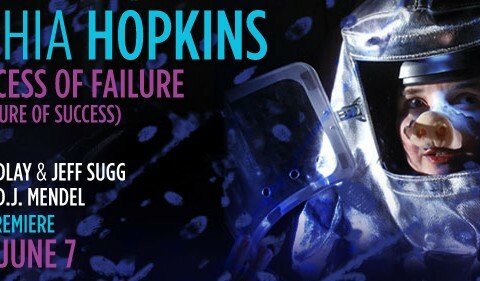 This inter-galactic tale is told with Hopkins’ signature hybrid of spell-binding text, heart-wrenching songs, innovative orchestral environments, and immersive, handcrafted video-scapes. An epic folk tale from the far distant future, The Success of Failure (or, The Failure of Success) is the heroic saga of Ruom Yes Noremac’s secret mission to save the world. During the course of her lonely journey through space, Ruom Yes Noremac realizes that only by failing to save the Earth can she succeed in saving the Universe.